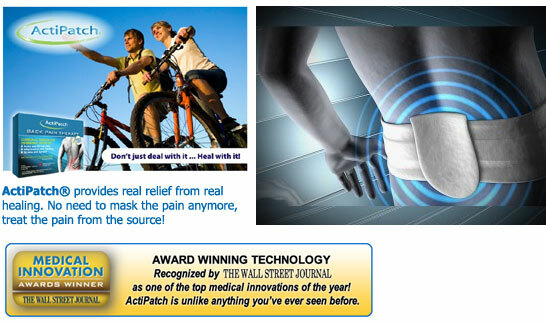 Recognized by the Wall Street Journal as one of the top medical innovations of 2009, ActiPatch® delivers its patented BioDynamic Therapy to not only relieve the pain, but to HEAL it. Drugs and heat patches don’t work to cure the pain – they simply mask it. It always comes back. Introducing a breakthrough in pain relief! 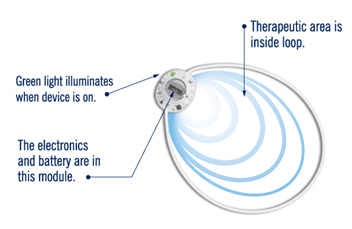 The BioDynamic Therapy is a miniaturized medical device that delivers continuous electromagnetic therapy to restore damaged cells. When applied, the technology quickly relieves pain , swelling, and inflammation, providing patient comfort while reducing bruising and speeding up the onset of natural healing. It is now widely accepted within orthopedics, sports and physical medicine, plastic surgery, and chronic wound care that weak, non-ionizing electromagnetic fields exert a wide range of beneficial effects. Tissue cells are tiny, electrically charged machines. When traumatized by injury, a cell’s electrical charge is diminished, which causes normal cell functions and operations to shut down. Inflammation sets in, resulting in pain and inhibiting the cell communication necessary for healing to begin. ActiPatch™ induces a mild electrical current into cells at a frequency that recharges the cell, stops the release of pain and inflammatory mediators, increases blood flow and re-establishes normal cell interaction. As a result, the body can begin to heal faster and the user experience less swelling, pain and bruising. Can ActiPatch be worn on other areas of the body? 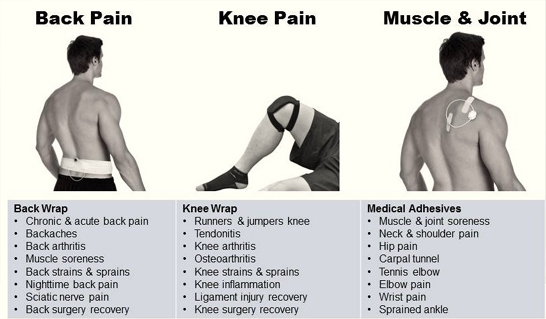 Yes, ActiPatch can be used in a variety of Musculoskeletal Pain. As an example, the Back Pain Kit has also been commonly used to help patients with Shoulder and Hip Pain. If need be, ActiPatch can be easily taken out of the wrap, and worn by itself with the use of any simple medical-grade tape to affix it to the anatomical site.